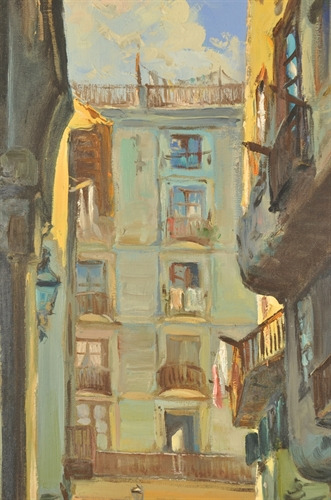 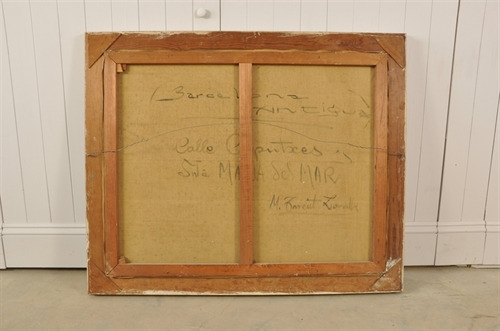 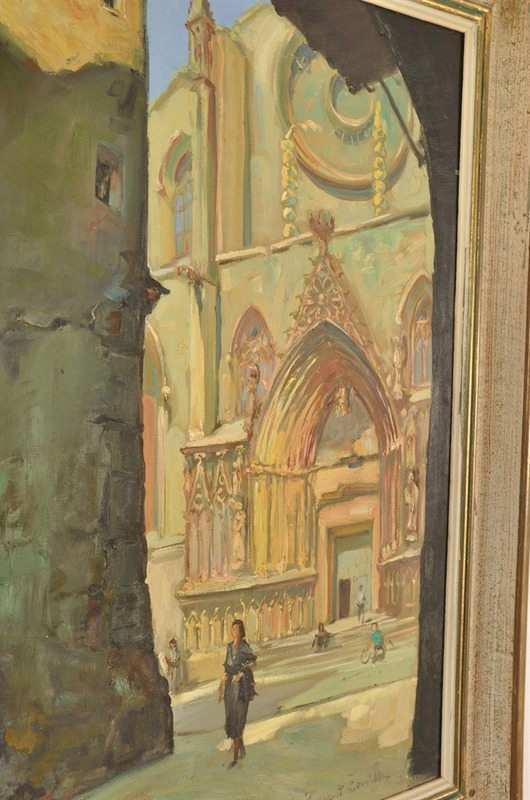 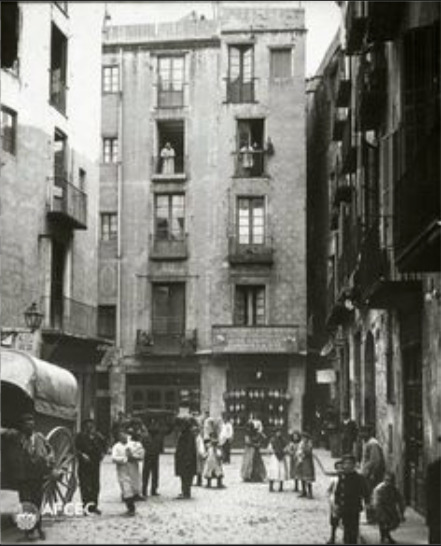 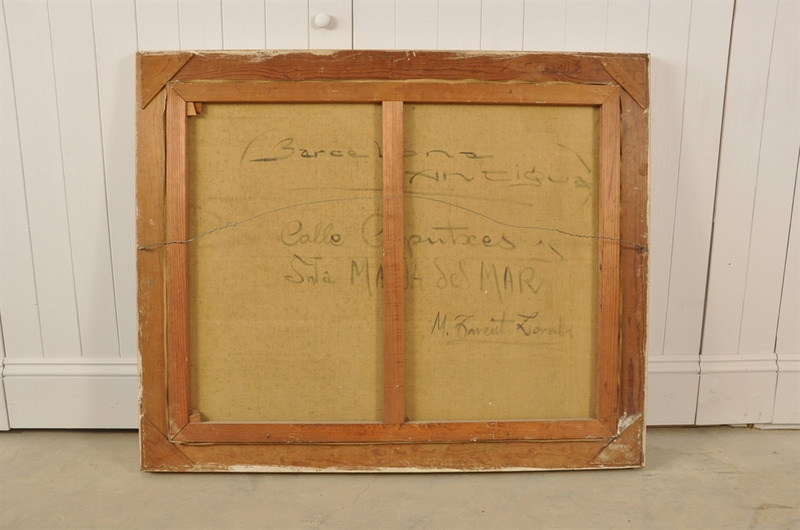 Signed M.Zorrilla with further details on the back of the provenance. 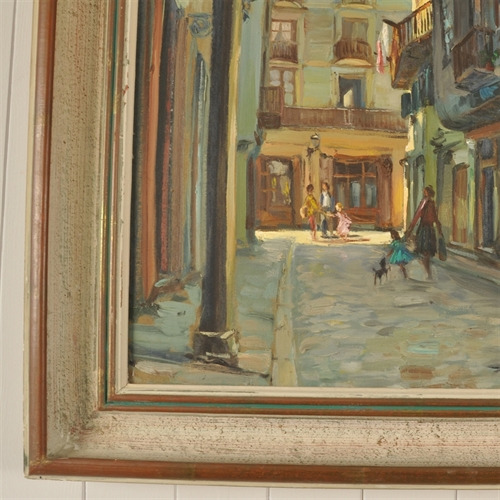 We believe this painting to be 1940's. 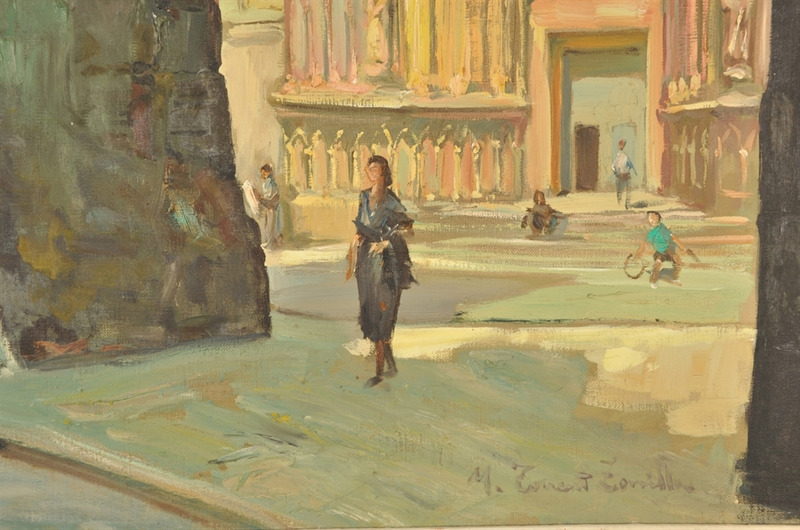 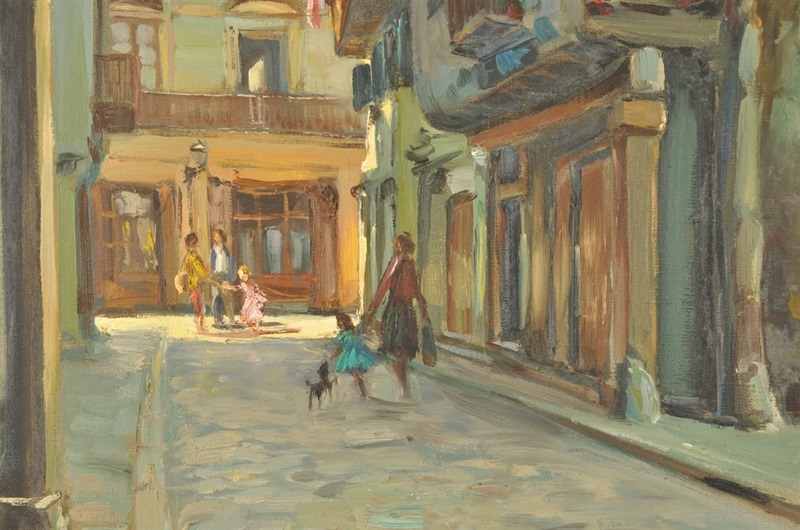 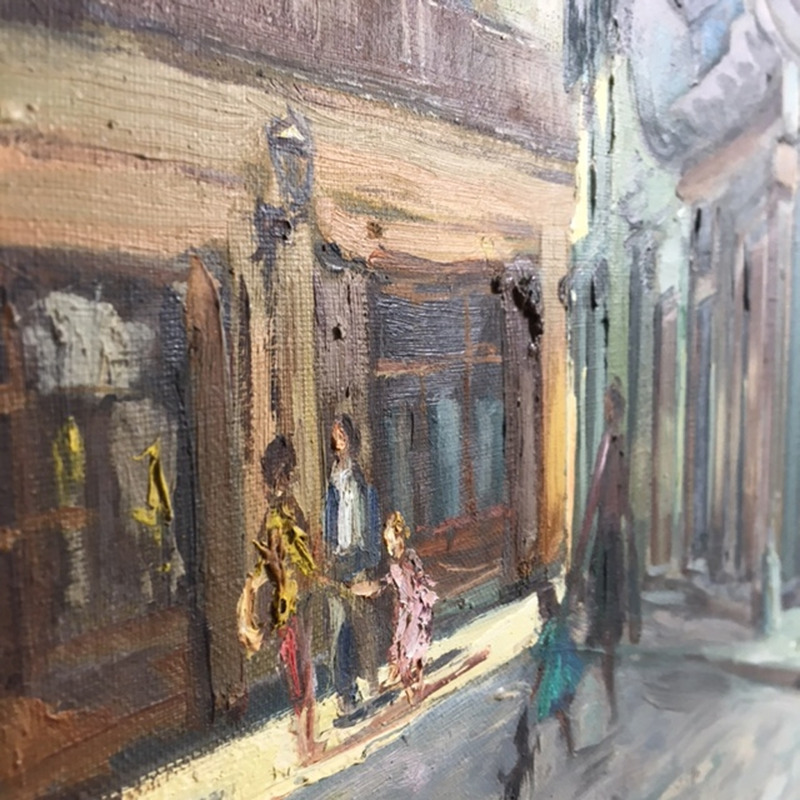 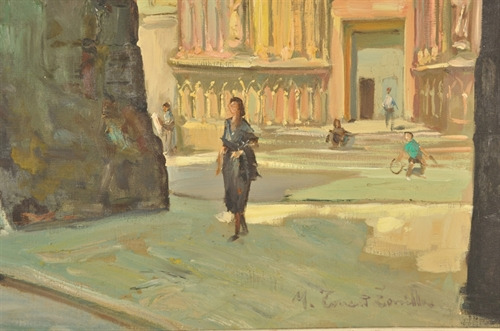 We love the way the artist has portrayed the light and shadow and used small intense colour to bring life to this cheery Barcelona scene. 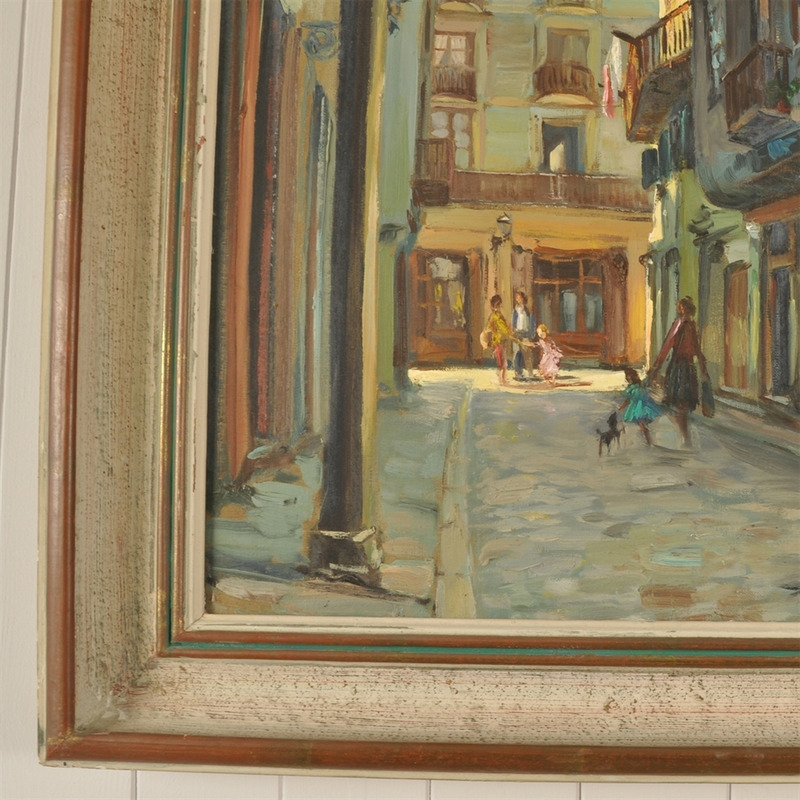 Note how the artist has repeated the dark turquoise of the little girls dress in the detail of the frame. 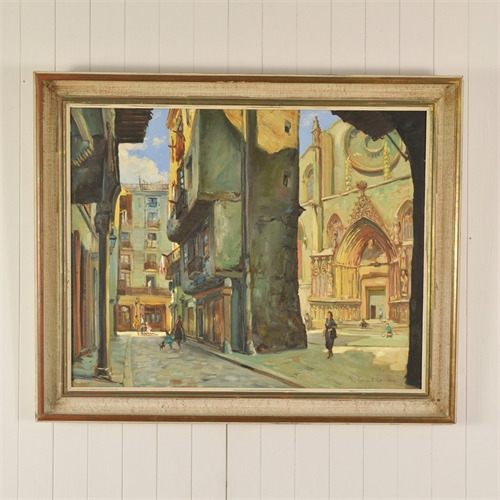 In good condition throughout with a few bumps to the frame. 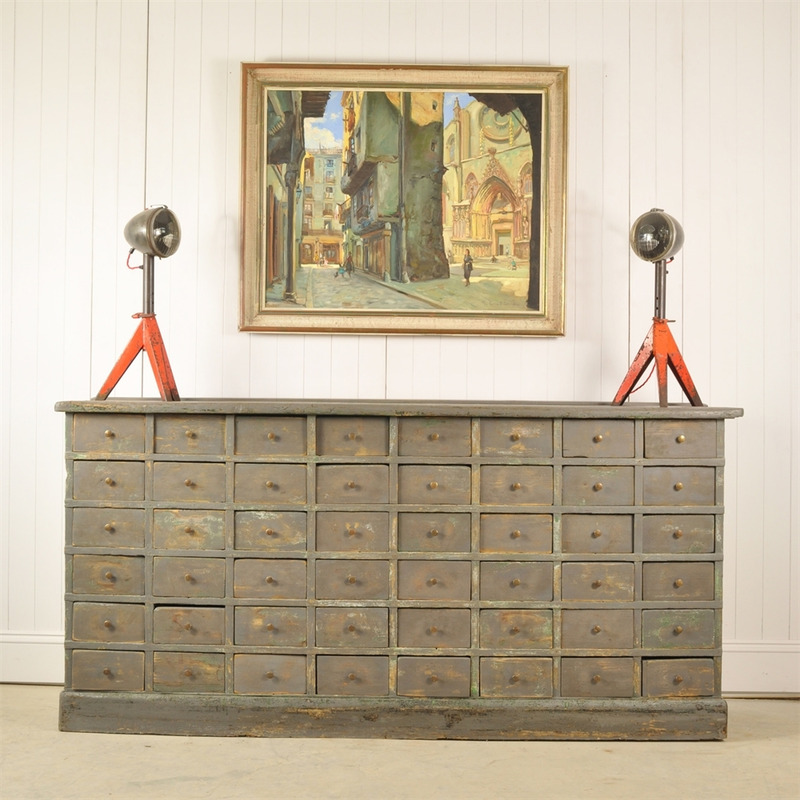 89 cm h x 108 w.
To view the Bank of Drawers click here.